JUST CLICK ON ANY OF THE BUTTONS BELOW! CLICK HERE FOR THE BEST SPAGHETTI WESTERN TREASURES IN THE WEST! CLICK HERE TO ENTER THE DARK WORLD OF THE DARK KNIGHT! 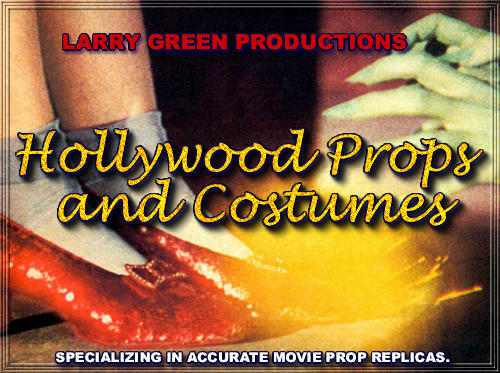 CLICK HERE FOR FEATURE FILM ACCURATE GERMAN WWII UNIFORMS, PROPS, POSTERS AND MEMORABILIA! CLICK HERE FOR THE MOST ACCURATE SPY PROPS FROM NAPOLEON SOLO AND ILLYA KURYAKIN! CLICK FOR OUR JOHN LENNON STYLE REVOLUTION SHIRTS. SAY YA WANT A REVOLUTION? THEN SHOW IT!! CLICK HERE FOR HATS WORN BY HOSS, LITTLE JOE, ADAM AND BEN CARTWRIGHT!! CLICK HERE FOR YHE HAT WORN BY JOSH RANDALL (STEVE McQUEEN) IN WANTED: DEAD OR ALIVE! CLICK HERE FOR BEST COSTUME PIECES FROM DARTH VADER! CLICK HERE FOR A RIDE INTO THE 1700'S AND THE WORLD OF DR. SYN ALIAS THE SCARECROW! CLICK HERE FOR A VISIT TO THE SCARIEST CREATIONS THIS SIDE OF THE GRAVE!